Authenticity will take you far in the world of social media, and thus your Klout Score. Most experts say that although it’s important to get your message out there and create buzz about your blog or business, it’s equally, if not more, important to be your true and authentic self when online. After all, social media is supposed to be social! This doesn’t mean you have to share all of life’s little details, however; people are using the Internet for everything from recipes to reading the news to making friends, and becoming a resource to your community is a great way to not only help your friends, but also to keep you and your brand front and center in their minds when they do need something. Be a connector. There are always go-to people for when people have questions about certain topics. If you can establish your brand and yourself as a go-to person, people will seek you out for tips and encouragement. 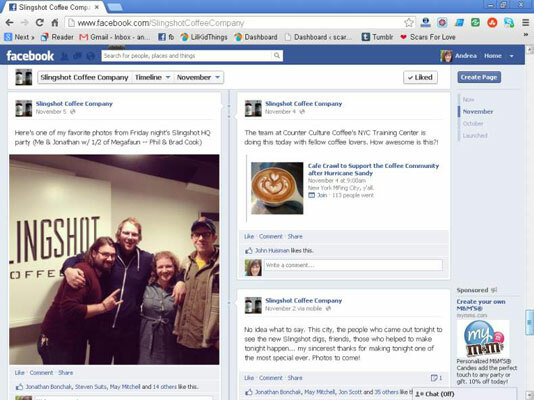 For example, this local couple is in the coffee industry. They are naturally fun and social and it shows through their social network interactions. But they also consistently post updates with interesting facts about coffee, where to get great coffee, or local festivals that feature their coffee. They are a great team and although they each work for different companies and work to promote their brands, they also support the coffee industry as a whole, even if it means mentioning a competitor now and again. Their opinions are trusted because of their willingness and ability to share their expertise with anyone who will listen. Curate a list of favorites. No matter what your niche is online, everyone has to eat. 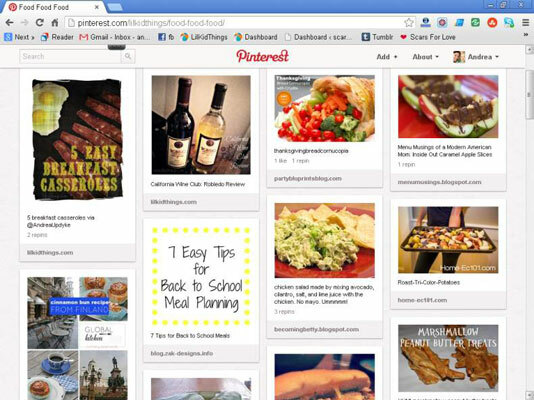 You could create a blog post or Pinterest board with your favorite recipes to share with your followers. Chances are they’ll respond by sharing their favorites! 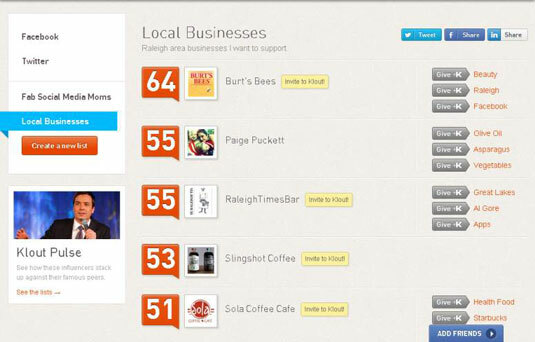 Use your Klout lists to stimulate conversation on your followers’ favorite topics. Create conversation with your followers by asking who they would add to the list. Give your list some limitations like the top 20 and announce monthly updates to keep the conversation going. 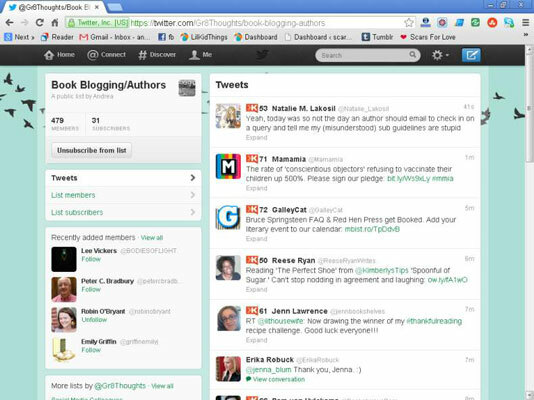 Make a list of Twitter users you think your readers would enjoy. It could be anyone from comedians to parenting experts. Your Twitter followers can then subscribe to your list and find new influencers to learn from.